Snails are reportedly doing their best to ruin Australia’s reputation in the export market. Chinese consumers of Australian barley are fed up with the quality of imports, which they say have been overrun by snails. 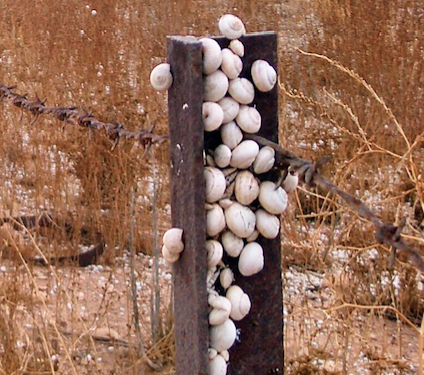 Certain barley exporters are already being banned from trading with China until they sort out their snail situation. South Australian farmers, who operate in a high-concentration snail environment, have suffered the most significant effects of this. Mr Weidemann, chair of Grain Producers Australia, told Farm Weekly that exporters must work to find a solution to the snail problem. The issues may simply be a matter of standardising testing. Mr Weidemann explained that snails may accumulate in the outer edges of a shipment – this would leave the bulk of the barley clear from snails, but if a test sample is taken from the edge of a container, the results are likely to show significantly and disproportionately high levels of snail activity. Beyond testing, Mr Weidemann has suggested that farmers and exporters may need to change their practices to drastically reduce the number of snails allowed to enter the shipments. Solutions may include changes to pesticide regimes or handling approaches. Whatever solution the barley industry moves towards, they must do so quickly. Australian barley exporters are doing all they can to ensure a favourable solution is found; the cereal industry has only recently regained its foothold in China after trade in Australian canola was suspended following the threat of an outbreak of blackleg, a fungal infection. According to Tony Russell, executive manager of Grains Industry Market Access Forum, that trade ban cost the Australian canola industry close to $1.5 billion, which is not a loss the barley market is willing to suffer.